How is your personal experience with the services provided by your current telecommunication company? Many dropped calls? Intermittent loss of 3G/4G signals when internet-surfing? Limited broadband coverage? Or, are you satisfied? All of the telcos boost about their products/services being the better ones, but is it always the case? I'm currently using Celcom for non-broadband services, Maxis for broadband + voice, and DiGi for my broadband-only mobile device. Unfortunately I still experience dropped calls on both Celcom and Maxis on several occasions. I can't comment on DiGi as I don't have voice package with the telco. If I surf the internet on my mobile devices with Maxis and DiGi, side by side, Maxis beats DiGi anytime, any location (or at least in my case when travelling around west coast of Sabah - Kota Kinabalu, Penampang, Tuaran, Papar). Again, it's a shame that both telcos offer good broadband experience only at selected areas. Talking about limited data coverage. I remember that MCMC and the relevant ministry warned these telcos on numerous occasions to improve their services or face the music. It's high time they invest good money on better infrastructure rather than just focusing on increasing their customer base. It's good to learn that DiGi is spending money to provide high quality internet experience. Computerworld reported that the company has invested about RM1.5 billion (US$460 million) in the last two years in capital expenditure to modernise its network as well as expand its footprint nationwide. In addition, DiGi has further committed up to RM900 million (US$276 million) in capital expenditure to further strengthen its network position. This is translated into modernisation of electronic parts in more than 5,500 sites with new equipment, expansion of HSPA+ 3G network to more than 80% population coverage, and increasing its own and jointly built fibre network to more than 3,200 kilometres. Malaysia is not a big country, so, 3,200km of fibre optic is quite impressive. The RM900 million will further improve DiGi's internet experience by increasing its HSPA+ 3G coverage to 86% of population coverage, growing its LTE footprint up to 1,500 sites, and expanding its fibre network. 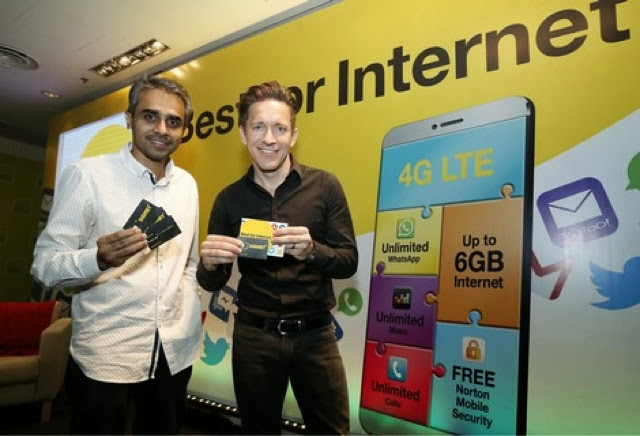 Currently, DiGi claimed itself to be the fastest growing mobile internet service provider in the country, with mobile internet revenue growth of 47.5% year-on-year. TheGreenMechanics: That's something Celcom and Maxis need to better. For the 'better' speed offered by Maxis, it comes at premium prices in comparison to the other two service providers. Why don't (or why wouldn't) they do that - be competitive price-wise?